«Alors que nous avions prévu cet enregistrement, notre cher ami Francis Dreyfus nous a quitté. Notre collaboration a commencé il y a près de 20 ans, une aventure qui nous apporta de merveilleux albums et souvenirs. Je suis très reconnaissant envers Francis d’avoir voulu faire ce nouvel enregistrement et ce fût une sensation douce-amère de le faire sans lui. Je pense qu'il aurait été heureux du résultat. 1.Grand Street05:57 (Sonny Rollins) Roy Haynes / Roy Hargrove / Fountain Of Youth. 2.They Call The Wind Mariah03:41 (Alan Jay Lerner - Frederick Loewe) Roy Haynes / Fountain Of Youth. 3.Off Minor08:43 (Thelonious Monk) Roy Haynes / Chick Corea. 4.These Foolish Things08:24 (Eric Maschwitz - Jack Strachey) Roy Haynes / Roy Hargrove / Fountain Of Youth. 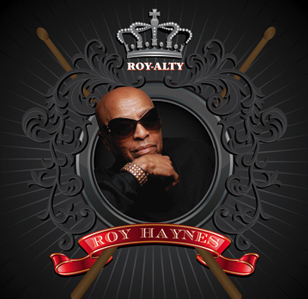 5.Milestones05:29 (Miles Davis) Roy Haynes / Roy Hargrove / Fountain Of Youth. 6.Tin Tin Deo08:43 (Walter Gilbert Fuller - Luciano Chano Pozo Gonzales) Roy Haynes / Roy Hargrove / Roberto Quintero / Fountain Of Youth. 7.All The Bars Are Opens07:44 (Roy Haynes»Chick Corea) Roy Haynes / Chick Corea. 8.Pinky03:52 (Alfred Newman) Roy Haynes / Fountain Of Youth. 9.Equipoise06:48 (Stanley Cowell) Roy Haynes / Roy Hargrove / Fountain Of Youth. 10.Passion Dance07:01 (McCoy Tyner) Roy Haynes / Roy Hargrove / Jaleel Shaw / Marcus Strickland / Robert Rodriguez / David Wong / Craig Haynes. 11.Introspection (Bonus Track)05:04 (Thelonious Monk) Roy Haynes / Chick Corea.